(Hilo, HI) – Five young ‘alalā, two females and three males, were released into Pu‘u Maka‘ala Natural Area Reserve (NAR) on the Island of Hawai‘i on Wednesday, October 11th. This second group of birds joins a previous group that had been released into the forest at the end of September. 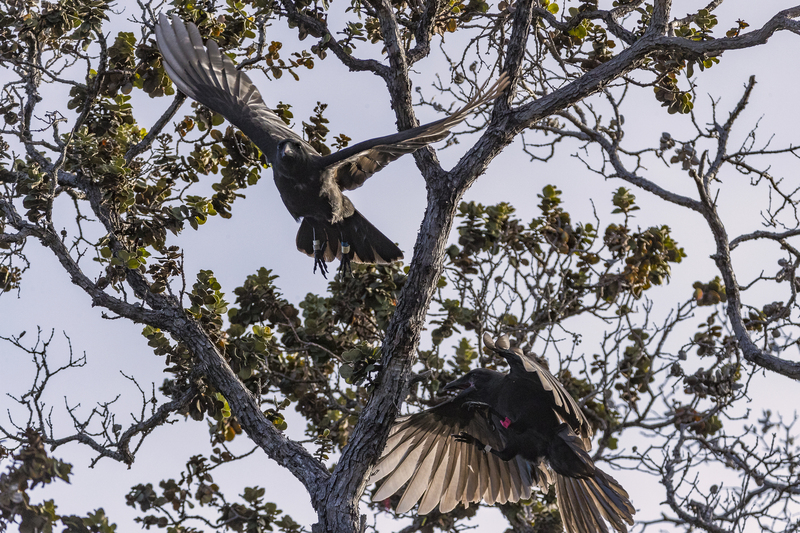 These eleven birds represent what conservationists hope will be the beginning of a recovered population of the endangered crow species on the island.